Founded in 2009,SYSBEL®(Shanghai Sysbel Industry & Technology Co., Ltd.) is located in Shanghai City, Pudong Jinhai Road No. 1000 Jinling 26 building 6 floor A block. our company is professional in environmental protection & employee safety and health. 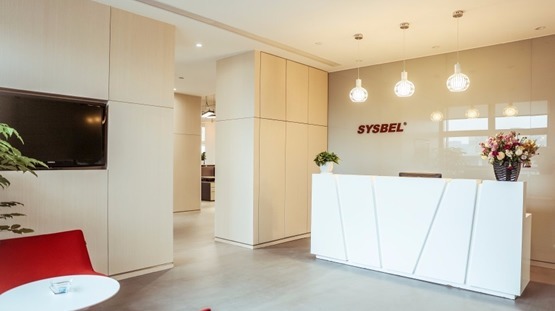 With a manufacturing factory of 5000㎡and over 120 working staffs.As a sole proprietorship, with the initial registered capital of 10million, Within 9 years, SYSBEL has successfully grown into a High and new technology enterprise. SYSBEL is made up of 6 departments and has established a perfect modern enterprise management system with optimized resources, reasonable coordination, and precise labor division, forming a highly efficient operated management team. Considered as both a manufacturer and a trading company, SYSBEL has been always committing itself to developing, manufacturing and marketing the Safety Containment Systems (SCS), Spill Prevention, Containment & Control (SPCC) and Eye Wash Systems (EWS).Up to now, we have developed various world’s leading safety cabinets which sell well both in domestic and international market. our sales market covers all over the country and extends to more than 100 countries and regions, including Europe, America, Asia, Middle East, Africa and Oceania. Meanwhile, we also provide competitive solutions and service for pharmaceutical, cosmetic, food and chemical industries. SYSBEL® attaches great importance to product quality management. The three main production lines are respectively approved by FM (for safety cabinets series), CSA (for eye wash station and safety shower) and CE (for spill pallets & spill kits). SYSBEL® storage cabinet series have been successfully tested in accordance with FM test standard 6050, complies with OSHA 29 CER 1910.106 & NFPA CODE30. SYSBEL® is the only factory within China who gets the FM certificate. our company has always placed customer first and continuously innovated based on the customer requirements, successfully gaining the respect and trust of our customers and being the leader of the delicate chemical industry.